Dirtybird protegé, Justin Jay, released his new single, ‘Mind Games’ for free download via the Free Music Mondays series by BBC Radio 1's Annie Mac. Coming off of a performance at The Do LaB for his Coachella debut, this 22-year-old Los Angeles native continues to make strides in his burgeoning career, as he gives back with a secret weapon from his sophomore dorm room studio days. 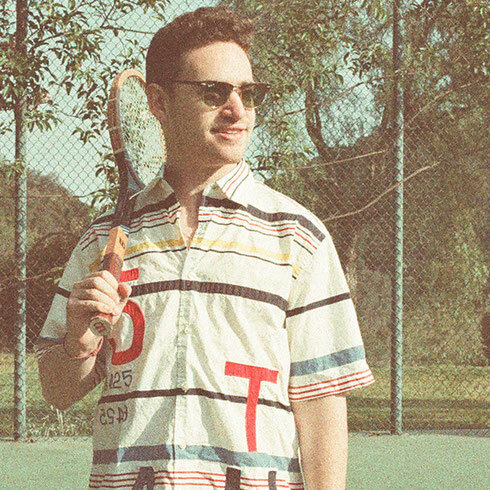 With the recent success of his ‘Momentum EP’ on Catz 'N Dogz's Pets Recordings, and now this, Justin Jay is setting himself up for a good summer of touring in the UK and Australia. Originally produced for the WMC Dirtybird BBQ party a couple of years ago, Justin ‘Mind Games’ exemplifies his forward-thinking, yet nostalgic sound. On the track, he merges funk-infused elements with a punchy, evolving bassline, and shuffling percussion for a groove that oozes with feel-good vibes. Justin: "I made ‘Mind Games’ two years ago, during the spring of my Sophomore year in college. I wanted to make something that could bring funky, feel-good vibes to the Dirtybird BBQ party during WMC that year. This track ended up becoming a staple in my sets for the whole summer and it's still a favourite among my homies at school. With college coming to an end and Annie Mac on board, it feels like perfect timing to give you guys this tried and tested secret weapon."